The artifact is a second class relic, meaning it is an article of clothing belonging to the pope. 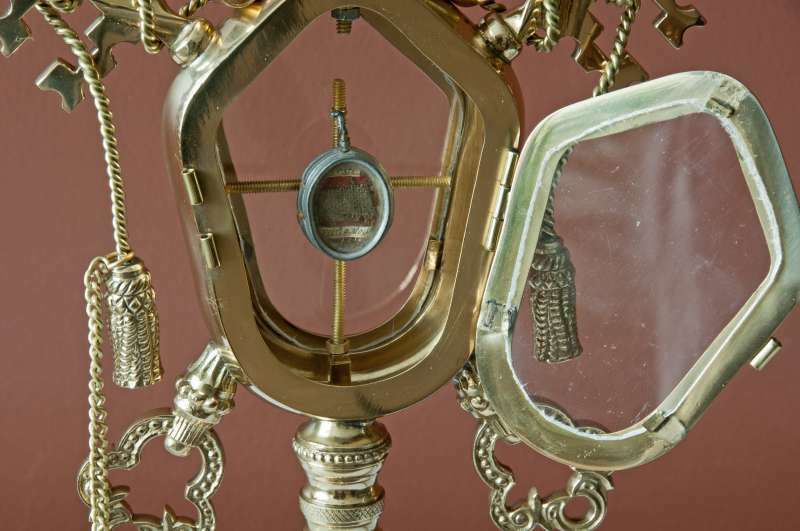 It is contained in an ornate reliquary with the symbol of the papacy: the cross-keys and tiara. A cross adorns the top of the reliquary. Pope Celestine V, who abdicated after only serving for five months as pope, was a very holy man who was canonized in 1313 by Pope Clement V.
Until Pope Benedict XVI’s resignation on February 11, 2013, Celestine was the last pope to have resigned from his office. Either way, the selling of relics has become a very unfortunate situation. They are to be venerated, not used for making a profit. 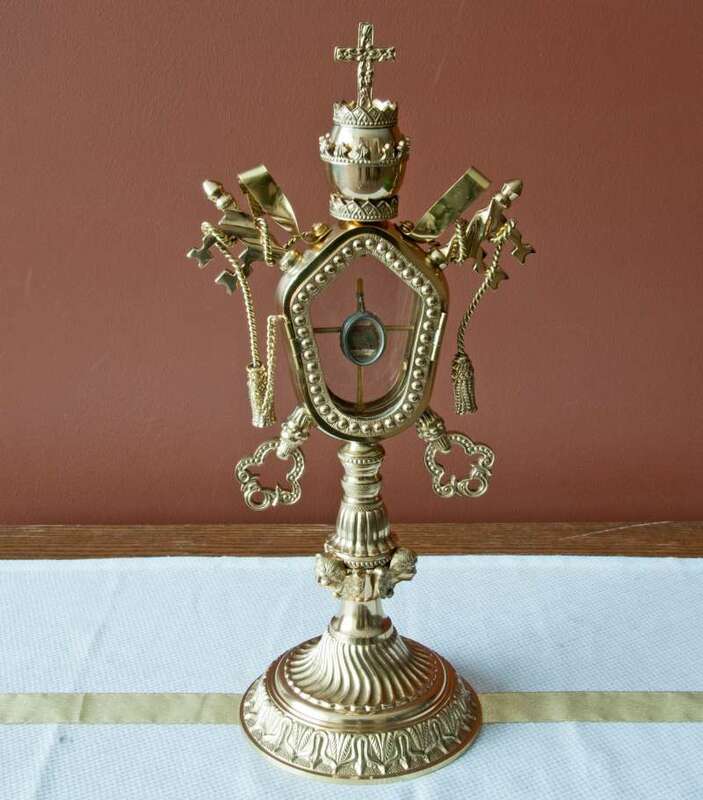 If you happen to have relics and you don’t know what to do with them, call your local priest or the diocese. Do not sell them.